Three years ago in the world of Kekkai Sensen (also known as Blood Blockade Battlefront), a cataclysm opened a gateway in New York City between Earth and another dimension known as the Netherworld. New York City was devastated and rebuilt, but the people of living there and otherworldly creatures alike were trapped in an “impenetrable bubble” around the city. Now named as Hellsalem’s Lot, NYC has become a paranormal melting pot where magic and madness dwell alongside the mundane. With the fate of the world at stake as someone threatens to break the bubble and release the mysterious powers within Hellsalem’s Lot, Leonardo Watch, the main character who had the superpower of “The All-Seeing Eyes of the Gods” thrust upon him, must team up with the secret organization Libra to save the world. FUNimation’s broadcast dub of Kekkai Sensen is absolutely outstanding, just as the sub is, maybe even moreso. I’m not well versed on voice actors, but looking at the cast, there a few names that have played some pretty big roles. Namely, Aaron Dismuke (Alphonse Elric in FMA), Ian Sinclair (Dandy in Space Dandy), J. Michael Tatum (Scar in FMA, Sebastian in Black Butler, Rintaro Okabe in Steins;Gate, and Kraft Lawrence in Spice & Wolf), and Josh Grelle (Mao Sadao in The Devil Is a Part-Timer, Yuki Amano in The Future Diary, Ichika Orimura in Infinite Stratos, and Nobuchika Ginoza in Psycho-Pass). See the full list here. Kekkai Sensen is a Studio BONES production, so nice visuals and great fighting scenes are almost a given. 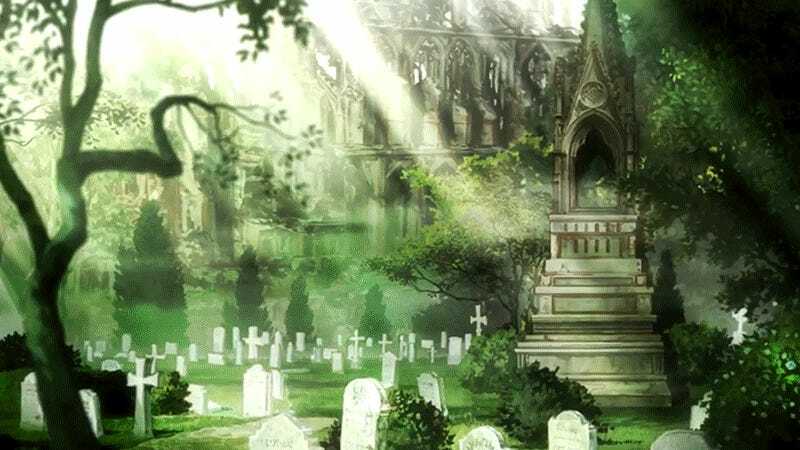 The series excels particularly in creating an incredibly intricate cityscape and world, with each scene and environment having an amazing amount of detail and color. There is always something besides the main focus of the shot that is equally as captivating as the focus itself, and often a scene will have a wide range of colors to accentuate the craziness or a single color to emphasize a more serious moment. The shot composition of most scenes is very interesting, if not a bit overwhelming with detail at times, and it makes the crazy city of Hellsalem’s Lot even more engrossing. The fight scenes are particularly visually appealing, as each individual’s power is unique and detailed. Each new ability used has a certain ‘wow factor’ in and of itself, but a greater effect as it interacts with the environment and other abilities. In the fight scenes there is, of course, a lot of destruction, which adds to the overall level of detail. After all, who doesn’t love a little destruction when the production team puts so much effort into each explosion, impact, and piece of debris? Just like the visuals, the music is wonderfully stylized to match each aspect of the show. The opening (“Hello, World” by Bump of Chicken) and the ending (“Sugar Song and Bitter Step” by Unison Square Garden) match this fun and upbeat feel of the series, while the soundtrack is full of quirky and odd tunes that fit right in with the craziness that is Hellsalem’s Lot. There are a few more dramatic scenes and sequences that have wonderful orchestral music playing in the background as well, such as Beethoven’s Symphony No. 9 Ode to Joy and Mozart’s The Magic Flute Overture. Among the many great aspects of the show’s ambiance, the music often sets the tone of each scene and the show as a whole. The world of Kekkai Sensen isn’t explained in great detail at any one point, but throughout the series, pieces of the world are elaborated upon as they become relevant to the plot. 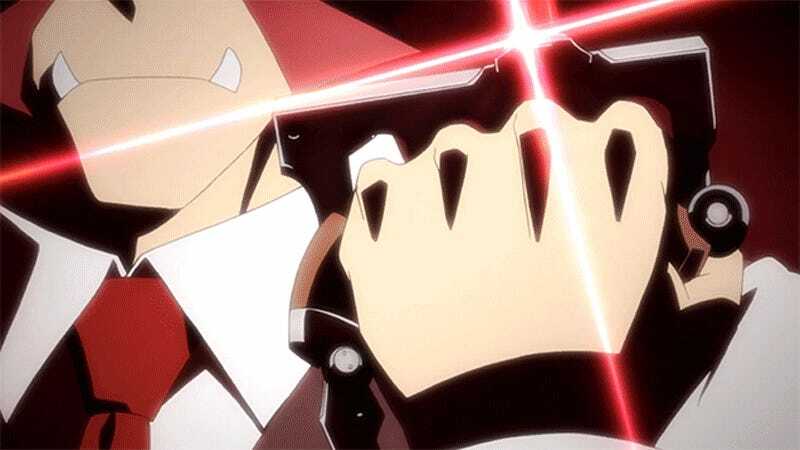 The abilities in Kekkai Sensen, called blood arts, are more akin to martial arts than super powers, but involve using elements or blood as weapons (à la Deadman Wonderland). While some characters use physical manifestations of their blood such as Zapp and Zed, others use elemental attacks (Steven A. Starphase uses ice, for example). Each different way of fighting is in fact a different style and later in the show, it is revealed that each style of blood arts is like martial arts - students learning a fighting style from a master, and many different styles are available to choose from (assuming the person is capable of using an ability). Beyond just those who use blood arts, there are another set of humans known as casters who have special abilities as well. The casters are the ones who sealed the city off during the great collapse three years ago, and have abilities similar to magic. There is an organization for casters which is analogous to Libra, and their job is to maintain the barrier around Hellsalem’s Lot to keep the collapse from spreading. The many different ways people have been affected by the great collapse add a nice depth to the setting of Kekkai Sensen that does not overwhelm the viewer with information and exposition. The characters of Kekkai Sensen are all very interesting with their various powers, but the greatest part about them is their personalities. Obviously the ‘main’ character, Leo, is well developed, having an optimistic and relaxed attitude as well as a shown backstory about how he got the “All-Seeing Eyes of the Gods.” Other than Leo, there are only a few well-developed characters - Klaus, Zapp, Black, and White. Each of them get quite a bit of screen time devoted to elaborating on their pasts or their personalities, making them some of the most memorable characters of the show. While Klaus and Zapp’s characters are filled out mostly through fighting and dealing with aliens, Black and White have a particularly interesting development that is played out across multiple episodes intermittently as more details about a very important event in their lives are revealed. Unfortunately, not all characters were developed equally. There is a significant portion of the cast that is left virtually undeveloped beyond a joke or two, and these characters are just as interesting, if not more, than the characters that got most of the development. 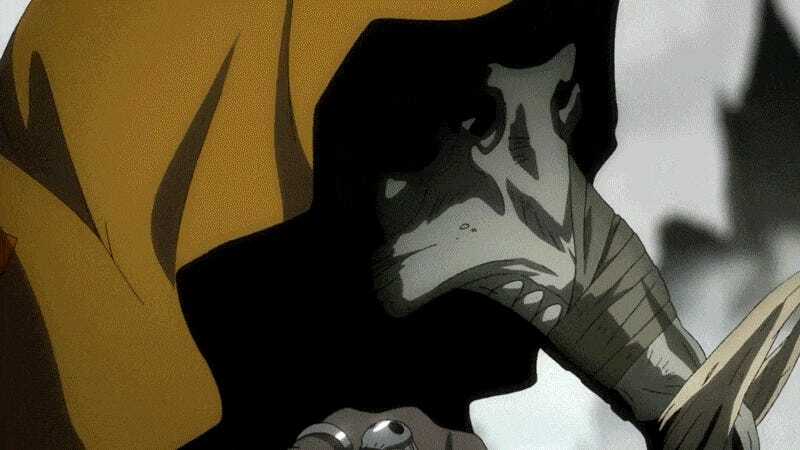 Chain, Steven Starphase, the rest of the Libra crew, Lucky Abrams, the ‘villains’ - all of these characters are left with little more than an introduction and a few side appearances over the course of the show. Kekkai Sensen is full of great ideas for a great cast, but the series simply does not have the time to develop all of them satisfactorily. While it is disappointing that some of my favorite characters get little to no development, the issue lies in the time constraints of the show, not the narrative itself. The first episode jumps around and seems like there’s a bit too much of the world that is unexplained at first, but the show gets better. If you watch the first episode and think “Wow, they reused the first 5 minutes of the show over again...in the exact same episode,” continue watching. It gets better, things are explained (for the most part) later, and it’s worth it. All of the aspects of the world building slowly come together in an interesting fashion as the show balances episodic stories with an overarching narrative that ties all of the characters and the setting together. The episodic structure allows for an easy viewing experience, but hints at a greater scheme more and more as the show goes on, eventually causing the seemingly almost separate events of the adventures of Libra and Leo’s interactions with Black and White to come together. This gradual knitting together of the characters of Libra and the Black & White makes Kekkai Sensen particularly interesting as the show maintains the fun and excitement from the beginning of the series while growing into a more narrative-driven show. Although it has great qualities, the structure of the series would have been better suited for a longer-running anime. It didn’t glaringly detract from the series, but Kekkai Sensen would have definitely benefited from having more episodes. Kekkai Sensen (or Blood Blockade Battlefront) is a very fun and entertaining show full of excellent animation and style. The way the series combines the structure of an episodic story with an overarching plot results in an experience that has both the relaxed story-of-the-week pacing and an interesting narrative that ties together the two seemingly separate parts of Leo’s life - Libra and Black & White. While maintaining a fair mix of the two forms of storytelling, Kekkai Sensen almost shoots itself in the foot because of this very factor. In trying to capture the wild, adventurous feel of Hellsalem’s Lot through the episodic aspect, the series ends up only focusing character development on a few characters. With such a rich potential for creating a truly immersive world with all of the various characters, history, and organizations introduced, the constraints of only having a single cour to work with caused a few issues with the development of the show as a whole. In spite of these flaws, the show is enjoyable, works very well, and is definitely worth a watch. Header and GIFs by Unimplied.